The OU College of Medicine is part of the OU Health Sciences Center. The college, along with the OSU College of Osteopathic Medicine in Tulsa, trains the bulk of the state’s physicians. The state will have to find another way to help fund graduate medical education by July 2019 if it wants to use Medicaid matching funds after the federal government denied the Oklahoma Health Care Authority’s latest bid to fix the program’s funding issues. 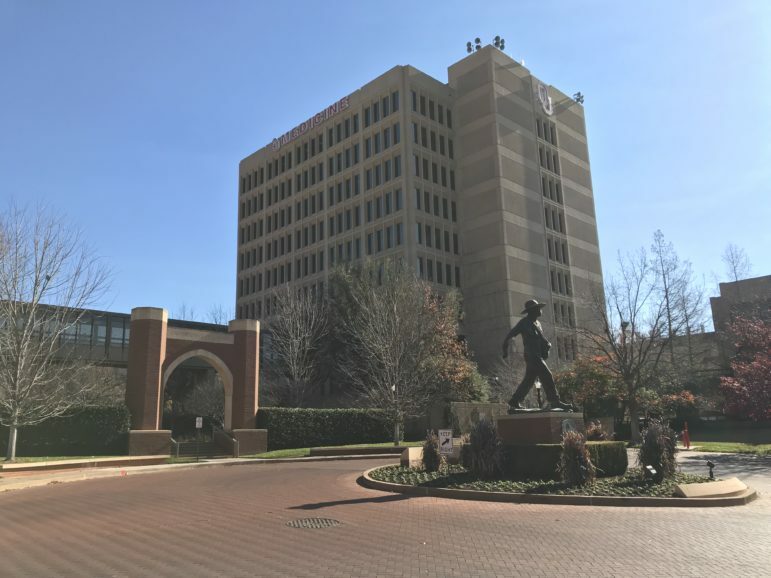 If a solution can’t be found, the state will have to continue to pick up an estimated $110 million in annual funding for residency programs at medical schools run by the University of Oklahoma and Oklahoma State University. Lawmakers in March passed an emergency appropriation to keep the graduate medical education programs going through the upcoming fiscal year. The federal Centers for Medicare and Medicaid Services sent a letter Tuesday to state Medicaid officials outlining its reasons for denying a new demonstration program proposed by the Health Care Authority. The federal agency denied an earlier fix in December, saying Oklahoma was indirectly subsidizing medical school training with its Medicaid matching funds. Part of the reluctance by the federal agency to continue the program was from higher reimbursement rates for doctors at the medical schools, Oklahoma Watch found in a review of agency correspondence and conference calls. In the latest application, Oklahoma officials wanted to use a different payment structure to handle the federal matching funds, which had flowed through a complicated arrangement to the Health Care Authority and the medical schools. In a joint statement, OSU and OU medical schools said they were disappointed with the denial. The federal Centers in December recalled about $31 million in matching funds for part of the last federal fiscal year. The Health Care Authority is appealing that action. In a statement, Health Care Authority CEO Becky Pasternik-Ikard expressed disappointment with the federal agency’s decision and questioned what was missing from the state’s submission. “We believe the state did everything that was expected to meet the criteria listed by CMS which promote the objectives of Medicaid and was responsive to all requests from CMS for additional data and documentation. We will continue to work with CMS and our stakeholders to discuss any possible path forward,” the statement said. Two Oklahoma health care facilities are among those in 12 states that treated patients with a potentially lethal multidrug-resistant fungus that is emerging as a serious global public health threat.